Undeniably the best sushi in Key West! 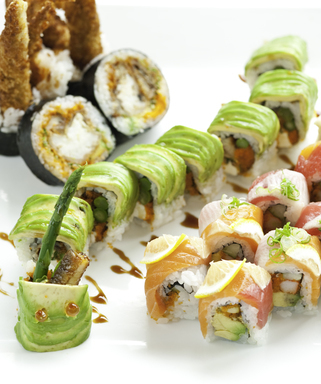 The Ambrosia offers a sumptuous variety of sushi rolls, sashimi and tempura seafood and vegetables. The presentation is like works or art you almost don't want to bite into it, but the taste takes over and soon you're transported into tastebud nirvana. The restaurant is gorgeously decorated with a waterfall wall, an elegant bar area with color changing lights, and cosy booths and tables. The food is incredibly fresh and the atmosphere is relaxing.